I had gone to Ullapool to pick up my husband from the Stornoway ferry. While Tom Sawyer famously managed to trick his friends into whitewashing his aunt’s fence, the owners of a west coast hotel will have to think of ways of un-painting their wall. Clocks may have only just ticked over to signify the start of spring but a north community is already thinking ahead to how it can wow the crowd this winter time, by seeking to gain funding from the National Lottery’s People Projects. Police are appealing for witnesses following a one-vehicle crash in the Highlands. A man has been left in a life-threatening condition following a one-vehicle crash on a busy Highland road this evening. Judges at a prestigious Highland book contest have said this year’s contenders are “incredibly strong”. All ferries between Ullapool and Stornoway have been cancelled today as adverse weather takes its toll on transport links to and from the Western Isles. The latest episode in a long string of disruption on the Cal Mac ferry service has led to community leaders calling for better measures to be put in place, with the ferry company’s own advisory board calling for a more sustainable long-term solution. Ullapool will host marine conference "Sea Life, Our Life" next month, with the work of a number of primary schools taking centre stage. A teenage holidaymaker has died after falling 500ft while climbing a Highland mountain. A pier at a Highland harbour was cordoned off yesterday after a crewman was stabbed aboard a fishing boat in the early hours. A ferry service to the Western Isles will cost taxpayers at least £67 million by 2022 – but bankers will still own the 700-passenger ship. A row has erupted over the first proposal to dredge for kelp in Scottish waters amid fears it could decimate marine ecosystems. 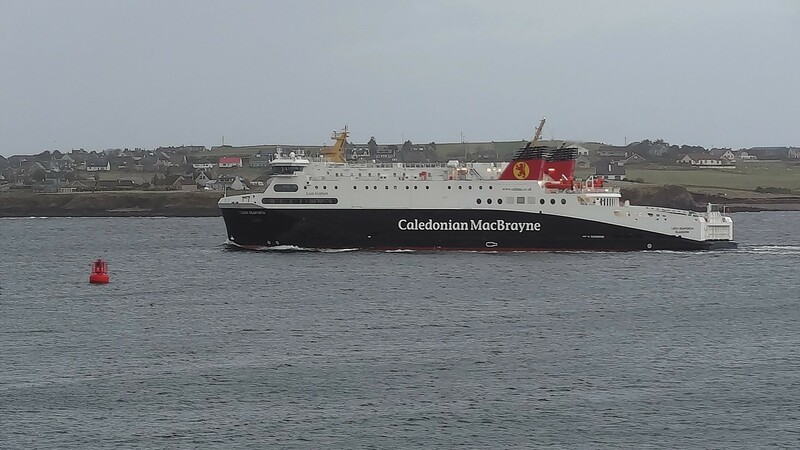 A prospective Labour Party MP has accused the Scottish Government of “complacency” over its dealings with the “crisis” affecting CalMac’s Hebridean routes. A CalMac ferry had to be escorted into Stornoway by two lifeboats after it broke down in the Minch with hundreds of passengers and crew on board. A ferry had to return to harbour after an infant fell and was injured during a sailing between Stornoway and Ullapool. Police have named a motorcyclist who died after a two-vehicle collision on the A835 road to Ullapool. A motorcyclist has died following a two-vehicle crash near Ullapool earlier today. A Highland businessman is exploring remote cultures of the Himalayas while helping to build an economic future for fragile Nepalese villages. The widening and extension of a Highland town’s slipway was met with delight as the Ullapool Harbour Trust’s project reached completion. Police are appealing for witnesses in the search for a missing woman from Ullapool. The sudden death of a man following a diving incident in the Ardmair Bay area yesterday is being treated as unexplained. A 55 year-old man and a 68 year-old woman are in a serious condition following a crash in the Highlands. Ullapool High School has been awarded £15,000 to fund a project commemorating the fallen Lochbroom soldiers of the First World War. An internationally-renowned artist is donating proceeds of a major exhibition to a Scots charity building a hospital in a Nepalese village devastated by earthquakes. Police have confirmed the names of the man and woman who died following the one-vehicle collision at Little Loch Broom yesterday.